Vermont boasts more authors per capita than any other state, according to a National Endowment for the Arts study, but in recent years has lost many of its best. For instance, over the past decade three former Vermont poet laureates have died: Grace Paley, Ruth Stone and Galway Kinnell. Yet, simultaneously, the state's literary ranks have been replenished with a new generation of scribes. Among them are two young women — one from the north of Vermont, one from the south — who have published award-winning poetry collections and are living unique literary lives. Adrienne Raphel, 30, grew up in St. Johnsbury and is the author of What Was It For — a debut poetry collection that draws on nursery rhymes and traditional verse. After her manuscript won the 2015 Black Box Poetry Prize, Rescue Press published it last year. 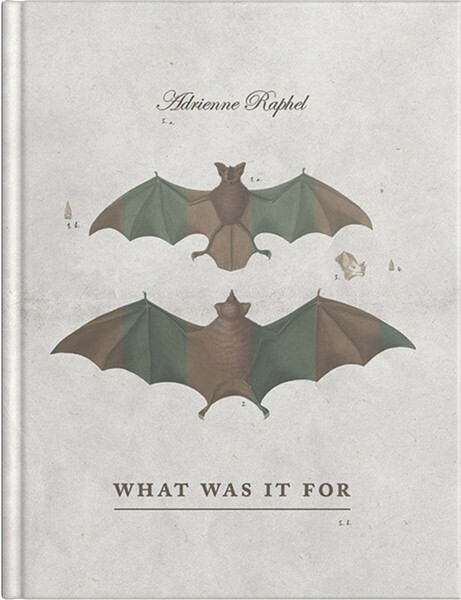 Guggenheim Fellowship-winning poet Cathy Park Hong, who selected the work, explains her rationale in a back-cover endorsement, praising the way Raphel "takes Victorian nonsense verse into the twenty-first century and transforms it into her own strange genius song." About a hundred miles south, 28-year-old poet GennaRose Nethercott has also been penning strange songs. Brattleboro-born Nethercott is the author of The Lumberjack's Dove, a novel in verse. It was selected by Louise Glück (a former Vermonter and U.S. poet laureate 2003-4) as one of five winners of the 2017 National Poetry Series award. 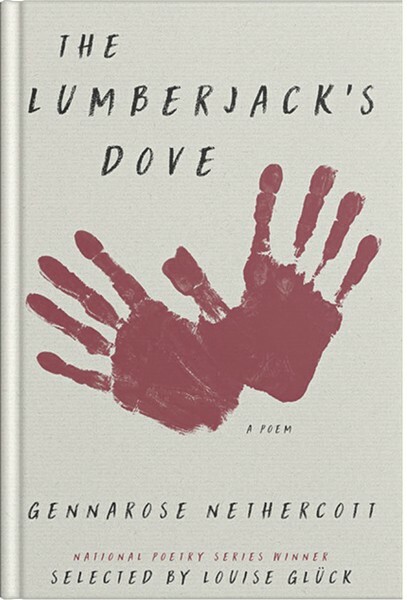 In the introduction to Nethercott's book, Glück writes, "The Lumberjack's Dove is, in its manner, a folktale ... Like its less humble relatives, myth and parable, it is pithy, magical, its many insights, its cautions and clarifications, unfolding in a chain of brief scenes and koan-like revelations." Though their books are distinctly different, both Nethercott and Raphel engage with traditional material in their writing. In an email, Nethercott said she traces her early interest in folklore to "the mystic Otherworld of the Vermont woodlands, a place that always feels like it's caught in some paranormal twilight." Nethercott studied Scottish folklore ethnology at the University of Edinburgh in Scotland, where she "quickly became obsessed with the social and psychological functions of supernatural belief," she said. 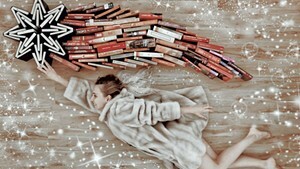 She began searching for answers to "Why do we tell the stories we tell? Why do we believe the superstitions we believe? How do our stories serve us?" Raphel, who recently earned a doctoral degree in poetics from Harvard University, is also driven by an unshakable interest in cultural legacies. She tracks her interest in a variety of 20th- and 21st-century literary works to discovering the poems of Gerard Manley Hopkins (1844-89) in high school. In a phone interview, Raphel recited the first line of his poem "The Windhover": "I caught this morning morning's minion, king- / dom of daylight's dauphin, dapple-dawn-drawn Falcon, in his riding..." When she first heard these lines she thought, Oh! You're allowed to do that? Raphel remembered. In addition to her interest in the movement and chaining of sounds, Raphel is attracted to word patterns and rules — structures that include sonnets, nursery rhymes and even crossword puzzles. Like Nethercott, she's driven by questions about culture, and she wonders, "What are these [word-based tendencies] baked into our brains and our DNA?" Despite their early success, Nethercott and Raphel both know that playing with words is serious work. Raphel spent three years sending out her book, which grew out of her MFA thesis at the University of Iowa. She sent it to publishers and contests while revising it and re-sequencing it between rejections. "It was just one of those fluky things," Raphel said of her eventual wins. After years of receiving form-letter rejections and some finalist slots, within a span of two weeks her chapbook But What Will We Do was selected as winner of the Seattle Review Chapbook Contest and her full-length collection won the Black Box prize. Burlington-based Honeybee Press published Nethercott's first book, Poems for Strangers, in 2015. She submitted The Lumberjack's Dove to 13 fiction and poetry competitions over a year; it placed as a finalist in some competitions in each genre. In response to the rejections, Nethercott said, "I really came thiiiis close to skipping out" on entering the National Poetry Series — which awards its winners a publication contract and a $10,000 cash prize. Thinking the manuscript "wasn't completely ready," she intended to put the book through another round of edits. Additionally, Nethercott believed she "didn't stand a chance at winning." The contest receives more than 1,000 manuscripts, which are winnowed down to approximately 45 finalists. Those manuscripts are then sent to five judges, each of whom chooses one winning submission. A friend urged Nethercott to submit anyway. "It's been such a good lesson for me," she said, "not to let my own hesitations and 'imposter syndrome' take the wheel." Both writers are, of course, engrossed in more writing. Raphel, whose work has also appeared online in the New Yorker, the Atlantic and the Paris Review, teaches in the Princeton Writing Program. She's halfway through writing another poetry collection, as well as a book about the historical, psychological, economic and anthropological phenomenon of crossword puzzles. Her compendium on the "virtually unchanged staple of modern life that debuted around the same time as James Joyce's Ulysses" is due out sometime in 2020. Concurrently, Nethercott, who belongs to a female collective of typewriters-for-hire called the Traveling Poetry Emporium, is engaged in an eight-month book tour for The Lumberjack's Dove. The visibility that comes from publishing with Ecco-HarperCollins helps broaden her reach as a storyteller. To animate the story during her cross-country tour, Nethercott commissioned a shadow-puppet theater piece from her collaborator and friend Wooly Mar, and performs the piece as she reads. Asked if winning a big prize felt like a fairy tale, Nethercott admitted to "freak[ing] the heck out" but said it wasn't a Cinderella story. "It was definitely a slow and deliberate labor that brought me to this point," she acknowledged. Even so, Nethercott added, "Getting that call [that she'd won] was an affirmation that all this hard work had yielded something good." For her part, Raphel described her feeling of winning two poetry contests — after not winning anything for years — as "lucky and weird." Nethercott might speak for any writer when she uses an appropriately folkloric trope to sum up the experience: "As a writer, it can feel like you're shouting and shouting down into a well, and your words just vanish into the dark. Prizes are — whatever, you're a writer with or without them, but it sure is nice to feel like, for once, the words didn't vanish in the well." The original print version of this article was headlined "Word Play"